Kentville Mazda | Mazda5 2012, for those who like space and like to drive! 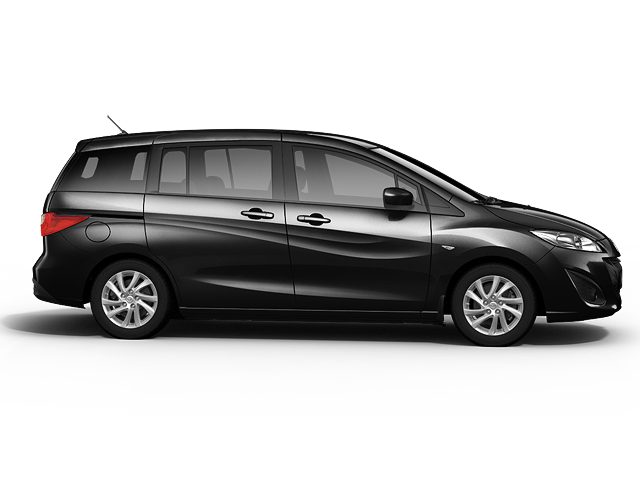 Home > Headlines > News > Mazda5 2012, for those who like space and like to drive! Mazda5 2012, for those who like space and like to drive! A number of years ago, families adopted vans to accommodate more passengers. Today, the number of vehicles traveling the roads continues to grow and it is necessary to reduce vehicle size. The solution: the Mazda5 2012. The Mazda5 is difficult to categorize. Let's use the term “minivan” to make things easier. Indeed, the vehicle offers the convenience of a minivan that can accommodate six adult passengers and the maneuverability of a car. Families can enjoy the many possible configurations to optimize their drives and maximize their comfort. Easy access to the inside is possible through the sliding doors on each side of the vehicle. The floor is low and the ceiling is high, which allows children to get seated with little effort and adults to install the little one without bending excessively. There are three rows of comfortable seats; two rows are made up of captain's chairs. As with all vehicles with three rows of seats, cargo space is limited when all seats are up. On the other hand, the last two rows of seats fold flat to create a maximum of cargo space. 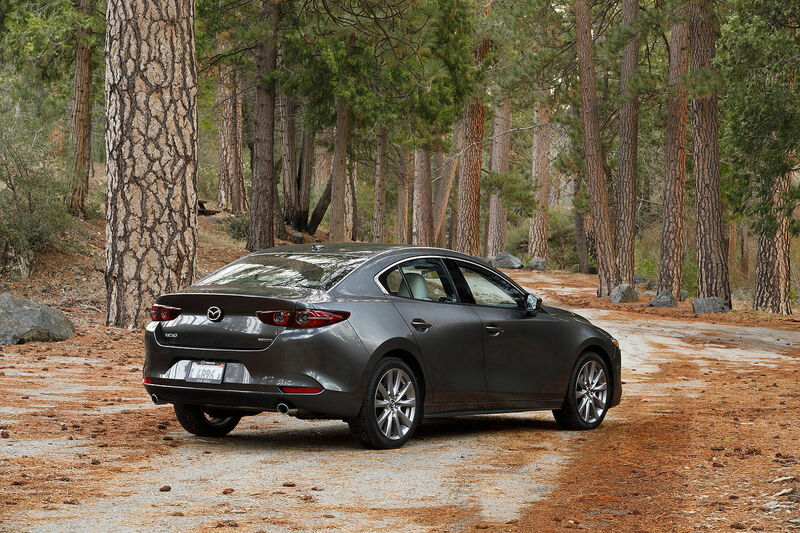 Outside, we notice the trend of Mazda engineers to make the new models sportier. Thanks to its design, its flowing and dynamic lines, the Mazda5 2012 distinguishes itself from other models in the category. Its chassis is lighter than its predecessor, increasing its maneuverability and agility. This minivan is equipped with many windows and large exterior mirrors providing good visibility around the vehicle. All these elements really enchance its driving pleasure. 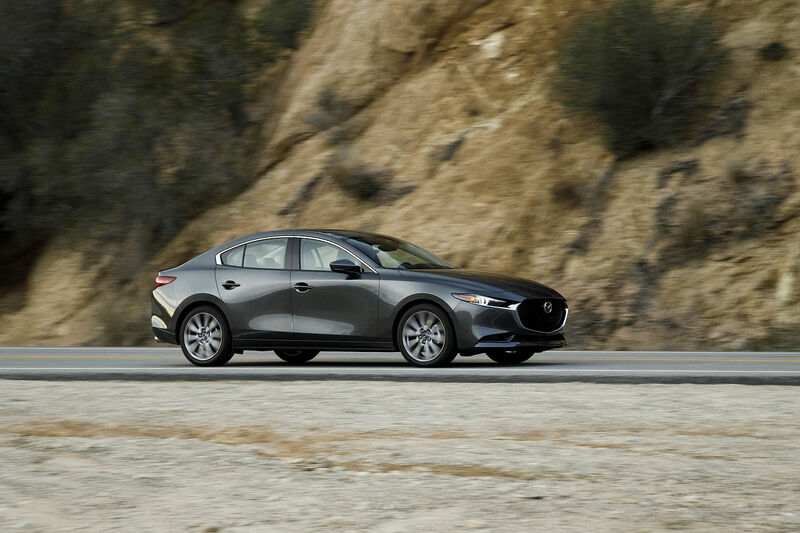 Equipped with a new 2.5-liter engine that develops to 157 horsepower and 163 lb-ft of torque, the Mazda5 2012 comes with either a 5-speed automatic or 6-speed manual transmission. Underneath it all, the firm suspension absorbs well the surface variations of our roads. 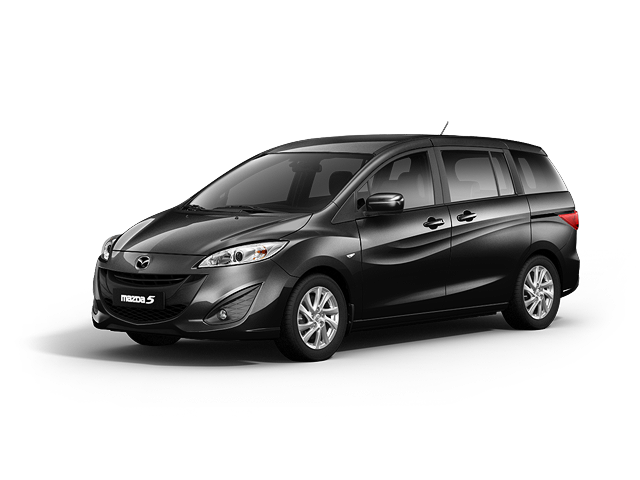 Mazda5 2012 seduces with its look, comfort and driving pleasure. A good compromise for active families at a very good price/quality ratio. Ask about the Mazda5 2012 today at your Kentville Mazda dealer.